Is a Hybrid Water Heater Worth It? 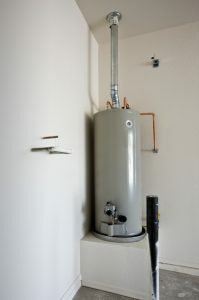 The water heater of a home is one of its most important components. It uses more energy than any other appliance, since, unlike the air conditioner or the central heating system, it needs to operate every day people are home. When you are in the situation of purchasing a new water heater, you want to make the best choice possible—because hopefully you’ll be living with this same system for more than a decade to come. Today, you have more options for a water heater than before. The standard storage tank water heater is still around. But you may also wish to consider installing a tankless water heater—or a hybrid water heater. Posted in Water Heaters | Comments Off on Is a Hybrid Water Heater Worth It? What Does the “Hybrid” Mean in Hybrid Water Heaters? With the multiple options available today when it comes to new water heater installation, people can become confused about just what type of system they’re looking for. The standard storage tank water heater remains popular, but there’s competition from the energy-efficient tankless water heater. Posted in Water Heaters | Comments Off on What Does the “Hybrid” Mean in Hybrid Water Heaters? Does Corrosion Mean the End of the Line for My Water Heater? Corrosion is metal’s biggest enemy, and it’s fair to say that nobody wants any appliance they own to suffer from the weakening effects of corrosion. It’s one that especially applies to water heaters, which combine metal, water, and oxygen—the perfect mixture to start the chemical reaction that leads to corrosion. Fortunately for your water heater, it was designed with the dangers of rust and other forms of corrosion in mind. It has a number of safety designs to keep rust away: the inside of the tank is lined with glass; an overfill tank creates an air cushion for the water pressure without actually allowing oxygen into the tank; and a special device called an anode rod that runs from the top the bottom of the tank attracts corrosion to it so that it rather than the tank corrodes. However, corrosion still can’t be prevented 100%. Your water heater may at some point start to show signs of corrosion. If this occurs, is it automatically time to replace the water heater? Posted in Water Heaters | Comments Off on Does Corrosion Mean the End of the Line for My Water Heater? You can’t expect that your Winter Springs, FL water heater will last forever, no matter how much you would like never to have to worry about losing hot water for your showers or for cleaning dishes. (Have you ever tried to scrub out grease from pots and pans using only cold water? We don’t recommend it.) But a water heater is a device that puts in a tremendous amount of work each year, and can account for 40% of your annual heating bills. That stress means one day the water heater will either fail on you or give off enough warning signs it’s close to failing that you can have it replaced before it does. We hope you end up in the latter situation—you won’t have to stay unshowered until the new system is put in! But no matter the reason you need to a new water heater installed, you’ll face a few important choices. One of the age-old water heater questions is “gas or electric?” Sometimes the answer is simple. Other times it’s not. But you have our professional plumbers ready to see that you have the right answer, no matter what. You may have heard stories about water heaters that turn into rockets that blast through the roof and into the sky because they haven’t been kept in good repair. This may sound a ­bit exaggerated, but it has been known to happen on occasion. (There was even a Mythbusters episode that discovered it’s not a myth.) But there are other smaller dangers that can develop in water heaters if they don’t receive regular care and some checks now and then. We’ve put together a few tips to make sure that your water heater stays safe all around the year—and stays in great working condition. When you need extra assistance, such as repairs and maintenance, our plumbers can take care of it. Which Is Better: A Tankless Water Heater or a Hybrid Water Heater? If you’re considering replacing your old storage tank water heater with one of the new varieties of more energy-efficient water heating technology, we think you’re off to a great start. The conventional gas-powered tank water heater can still do the job of providing sufficient heated water to a home, but with so many energy-conserving alternatives that will do just as well at keeping your family supplied with hot water, there’s no reason not to look into them. There are two very popular energy-efficient water heater models you may wish to consider: a gas tankless water heater and hybrid water heater. Posted in Water Heaters | Comments Off on Which Is Better: A Tankless Water Heater or a Hybrid Water Heater? The technology behind water heaters has advanced a significant way since the only type of water heater available was a storage tank system. The standard storage tank water heater is still around and can still do an effective job for a home. However, if you are in the market for a new water heater, you should know about some of the newer types of models available, such as a hybrid water heater. When it’s time for a new water heater it can be a bit stressful, especially if your older unit has broken down. Without any hot water, you may be tempted to let any technician into your home to remove the older unit and find a suitable replacement. But be aware: the water heater you purchase now may break down too soon or raise your bills significantly if you don’t have the right type of system for your home—and the right company for the job. The Modern Plumbing Industries, Inc. (MPI) team will invest time in measuring your home, discussing your needs, and helping you to find the water heater that is best for everyone involved. Schedule water heater installation in Sanford, FL with one of our plumbers if you want friendly service from a name you can trust. Before you schedule water heater installation, there are a few things that you should know about water heaters. An oversized or undersized system can be problematic. Make sure the technician is informed of your family’s hot water usage habit. A water heater that is too small may not get the job done, and a unit that is too big will use up a lot of energy over the years. Affordable systems may actually cost you over time. 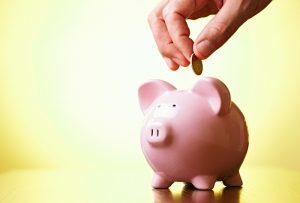 Many homeowners feel that it’s important to save money initially when selecting a new water heater. However, inexpensive units are not usually as energy efficient as some of their competitors, and you’ll end up paying more in your monthly energy or utility bills. Select an ENERGY STAR rated water heater for optimal efficiency. A tankless unit may be right for you. You may have heard that tankless water heaters use up less energy, as these heat up water instantly rather than storing hot water for later use. A tankless water heater is not right for every home, but it could be just what your family needs. You can also install a hybrid heat pump water heater. You can also choose a hybrid heat pump water heater, one of the most efficient units out there because of its ability to move heat from place to place rather than generate it. Call Modern Plumbing Industries, Inc. (MPI) to further discuss your options for our professional water heater installation service in Sanford, FL with one of our trained professionals today. Considering all the use that it gets on a daily basis during the course of a year, it’s no wonder that your water heater may sometimes need professional service from an Orlando plumber. 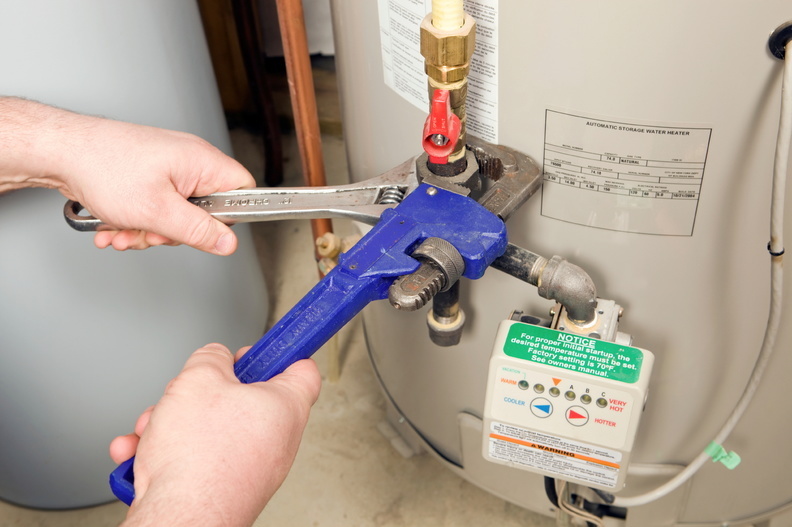 While there are numerous types and brands of water heaters on the market, there are some common water heater repairs that are more or less shared by all hot water systems. Let’s take a look at a handful of them. If you’re in need of comprehensive, thorough water heater repair, look no further than Modern Plumbing Industries, Inc. (MPI). Sediment and scale buildup: Over time, your water heater accumulates sediment. Because of the volume of water that it processes, this sediment can accumulate on the bottom of the tank and begin to causes problems. The heat exchanger, which is responsible for safely transferring heat from the combustion chamber (if gas) or coils (if electric), can become inhibited by the amount of sediment buildup, and this can cause it to overwork itself. If you hear a rumbling or boiling sound, this is often the result of this problem. Sacrificial anode decay: The anode rod in your tank water heater is designed to sacrifice itself to protect the steel of your water heater. The interaction between water and metal can create problems for the integrity of the container; most commonly, the problem of rust, or oxidization. The anode rod is there to absorb this interaction, so that it doesn’t occur to the sides of your tank. But it needs to be monitored periodically and replaced to avoid significant problems. Leaks: Leaks occur anywhere water is contained. Your water heater is a pressurized cylindrical tank that is susceptible to leaking. If you notice a water leak, make sure you have it checked out by a professional plumber. Call MPI today for quality plumbing services in Orlando, including water heater repair and replacement.